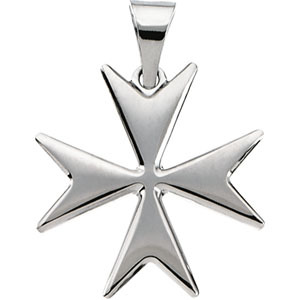 Sterling silver Maltese Cross pendant 18x18 mm. This cross is includes a 24 inch sterling silver chain. The symbol of the Knights of Malta and Hospital of St. John of Jerusalem. Four spearheads converge at the center; the extensions represent the Beautitudes.